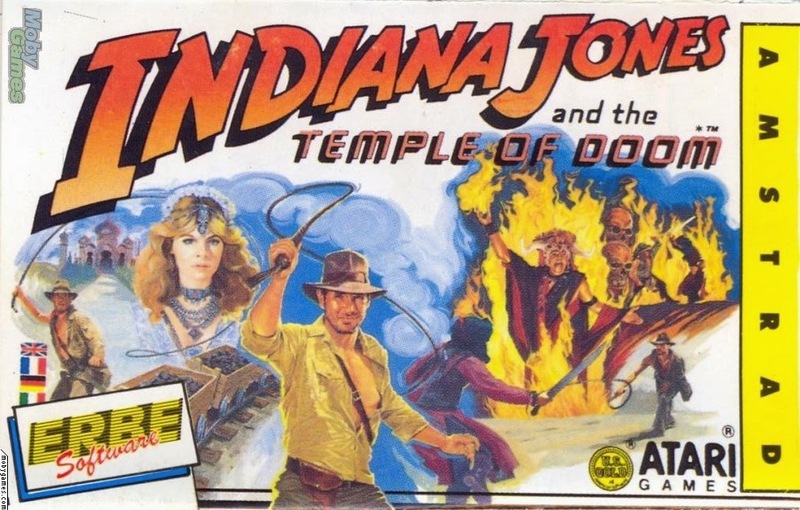 The most controversial entry of the Indiana Jones film franchise, Temple of Doom transferred to the coin-op really rather excellently without the dark nature of the story dragging it down. Movie tie-ins of this time were not the sheer crap money-grappers they are now. Sigh. Anyway, Indy makes a good-ish whip-swing across to the CPC, with many on the arcades faculties intact, including a friggin' hard as nails mine cart section. Why are mine cart sequences like that in most games that have them? This maybe responsible for setting that rulebook. Nice intro music but too quiet in the action scenes, it played well for the most part and waxed nostalgia effectively of the arcade hit. Indieeeeee! Honourable Mentions - IK+, Impossimole, International Rugby Simulator. Indiana Jones sure did know how to make money in the marketplace, didn't it?